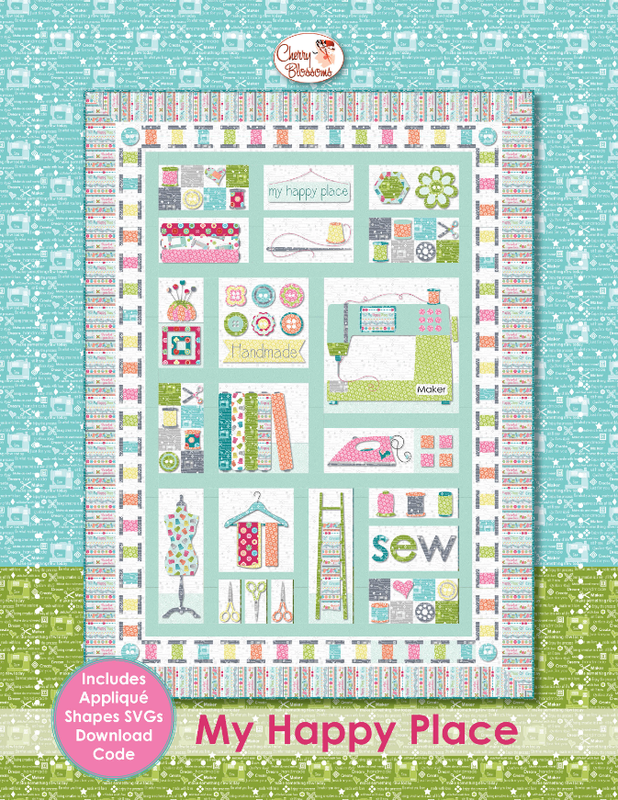 You've seen Cherry Guidry's My Happy Place collection; now it's time to admire the quilts! 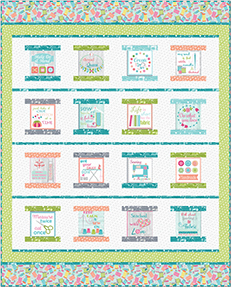 These fun sewing-themed designs are perfect for your sewing room or to give as a gift to a quilting friend! 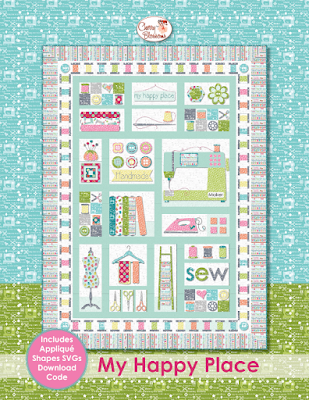 Take Cherry's virtual trunk show tour below. Click here to purchase the My Happy Place pattern. 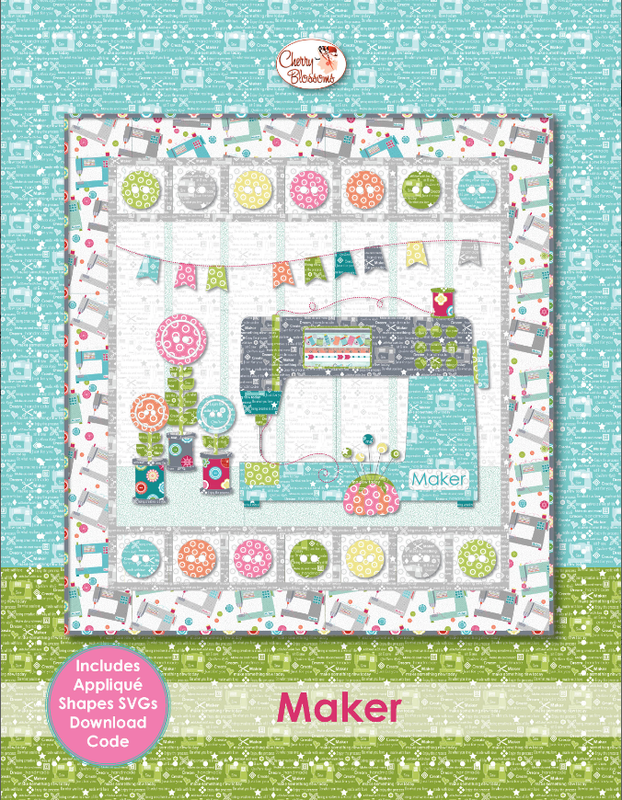 Click here to purchase the Maker pattern. 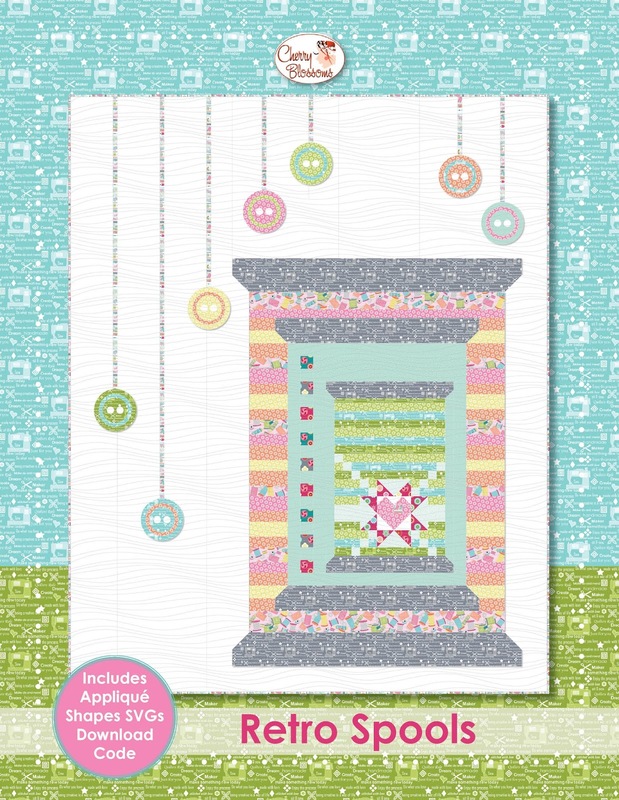 Watch Cherry's website for the Retro Spools pattern - available soon! 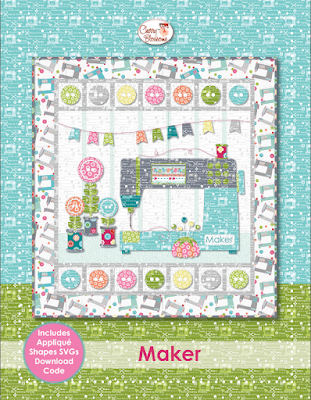 Watch Cherry's website for the Vintage Blossoms pattern - available soon! 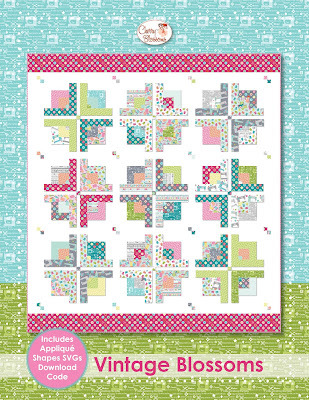 "This free quilt pattern uses the 5" squares from the Sew Wordy print, stacked with coordinating strips so they look like spools of thread! 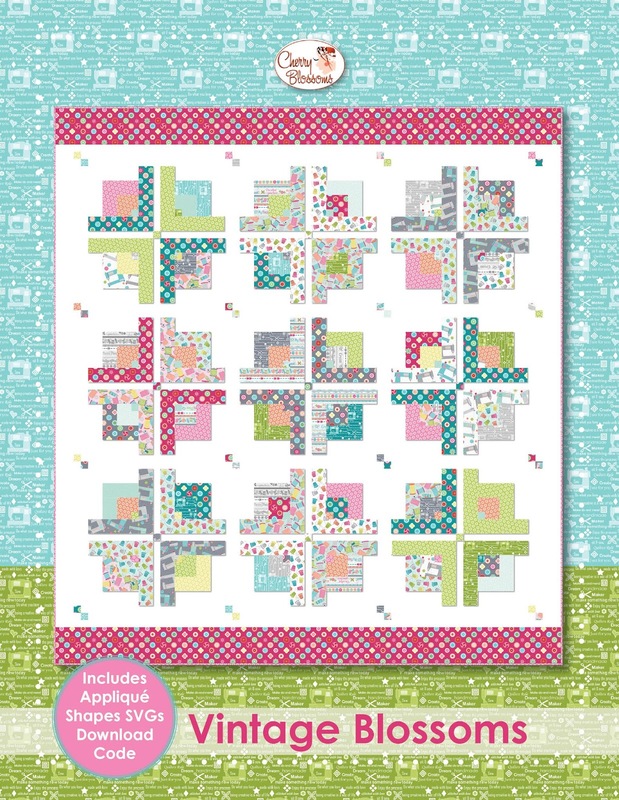 Watch for this free quilt pattern on my website." Click here to see the entire My Happy Place collection. Click here to read the interview with Cherry about My Happy Place.